Forget seeing your name up in lights, how about seeing them in wood? Far more sustainable, I’m sure you’ll agree and also that little bit different. Nuzzles are hand-crafted wooden letters by Chicago-based John Christenson. 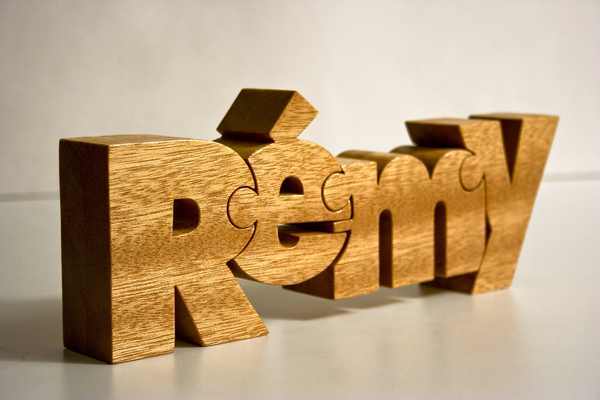 Crafted from a single block of wood, each letter has its own unique typographic style. Each one neatly connects to the next to create your choice of a name or word up to twelve characters long. 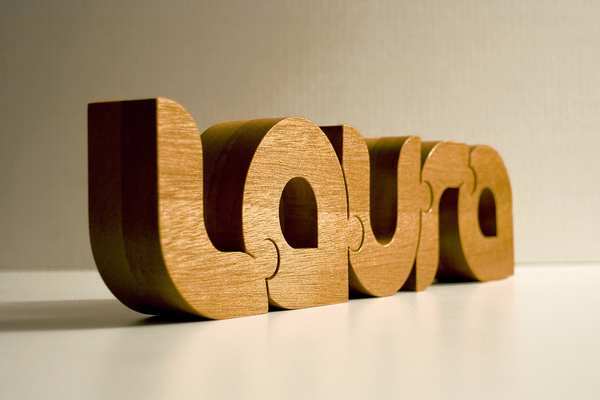 With a choice of natural or stained wood, each letter stands ten to twelve centimetres tall. Such a lovely, personal gift for anyone. Buy them direct from John’s Etsy shop at US$12 per letter (add US$2 if you want colour or stain) plus shipping.